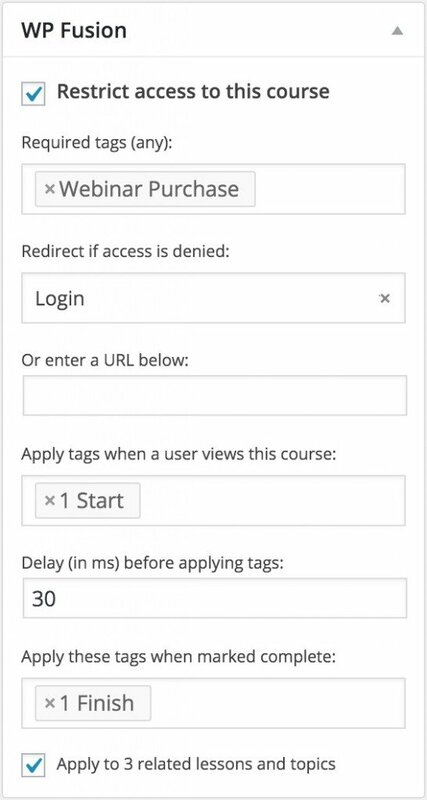 Using WP Fusion and the Sensei addon for WooCommerce, you can restrict access to Lessons, and Topics based on a user’s CRM tags. You can also apply tags to a user when they’ve begun a lesson, or topic, and likewise when it has been marked complete. See the screenshot on the right for an example of the options WP Fusion offers you when configuring a Sensei course.